The thought of your hands bleeding when you wash them is enough to make anyone cringe. But, why then, do folks feel it is normal for their gums to bleed when they brush their teeth? Researchers at the National Institute of Health reported that over half of Americans over 30 experienced bleeding gums when they brushed. Periodontal Disease is more prevalent than you probably think. Swollen and bleeding gums are early signs that your gums are infected with bacteria. If left untreated the infection may spread and destroy structures in your jaw bone that support your teeth. In its worst cases, periodontal disease causes teeth to become so loose that they need to be removed. What is periodontal disease? How is it treated? Can it be prevented? We have the answers to these and many other questions about gum disease. “Peri” translates to around, and “odontal” refers to teeth. Therefore, periodontal disease is an infection of the structures around the teeth. In the most extreme cases, this includes such components as the gums, cementum that covers the root, the periodontal ligament and the alveolar bone. In the earliest stages, gingivitis, meaning gum infection, may be the most common symptom. However, if you have gingivitis, it does not mean you will develop periodontal disease. 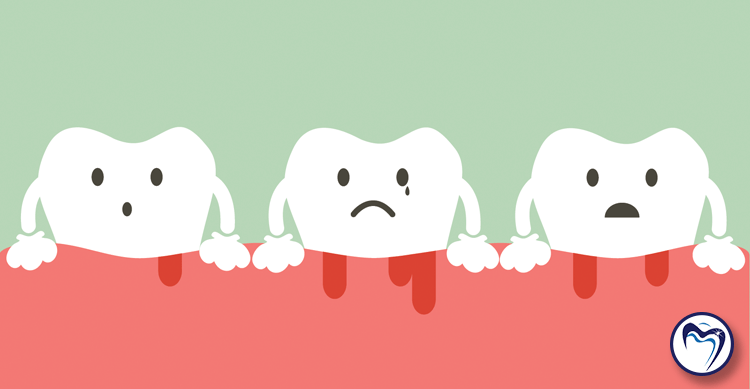 Does Periodontal Disease affect overall health? The good news is, yes. You can prevent periodontal disease, and it starts at home by practicing good oral hygiene. Use a tartar-control toothpaste and make sure to floss daily. Additionally, visit the dentist every six months for a regular dental exam, and a professional cleaning. Contact Denise Dental today to schedule your appointment. Our qualified team will offer great tips for preventing periodontal disease. And, will treat any issues thoroughly, safely, gently, and effectively. Experience the Denise Dental difference today.